Sounds like a place I could get lost in for a while. Viddsee, an online video platform that helps independent filmmakers throughout Asia distribute their work, has launched the beta version of Viddsee BUZZ, a new site that is meant to help content reach a wider audience on social networks. The site, which launched last year, also announced that Viddsee has hit five unique million viewers. 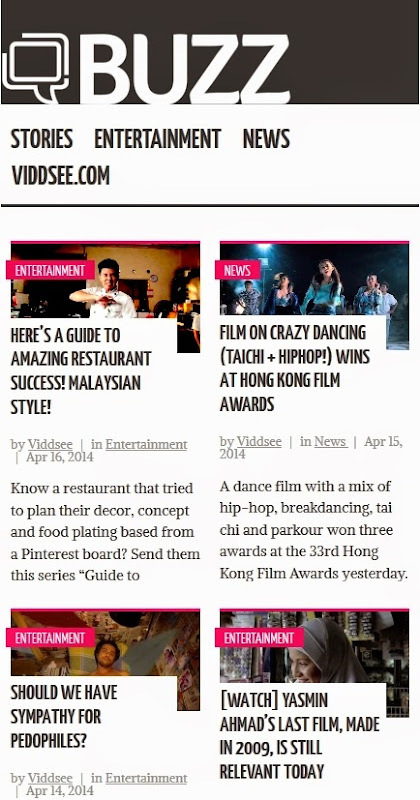 Viddsee currently serves artists from Hong Kong, Japan, the Philippines, Singapore, Malaysia, Cambodia, Indonesia, and Thailand, while about 30% of its viewership comes from outside of Asia.